…no long commute, a proper work-life balance, varied and interesting clients, opportunities for development and career progression and a host of other benefits. An exciting opportunity has arisen for an experienced Commercial Litigation Solicitor to join our Legal 500 team. This role is based in the Kettering office. Working closely with a Partner and with supervisory duties over more junior members the role has real scope to mould, build, grow and lead the team from within, in an atmosphere of support. 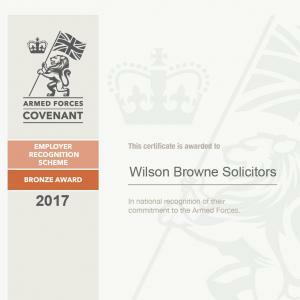 Wilson Browne acts for a diverse client base including SMEs, OMBs and listed companies across a wide range of commercial disputes. Accordingly, this role will involve a wide range of commercial litigation including but not limited to shareholder disputes, breach of contract, professional negligence, corporate disputes, contractual disputes and insolvency. Experience of Commercial Property disputes would be an advantage. The wider team also handles debt recovery and adverse possession. As this role will involve handling often complex claims we are keen to secure a candidate with excellent litigation experience and strong attention to detail who has the ability to pick out the key points in claims. Previous experience of handling a broad range of commercial litigation matters is essential. 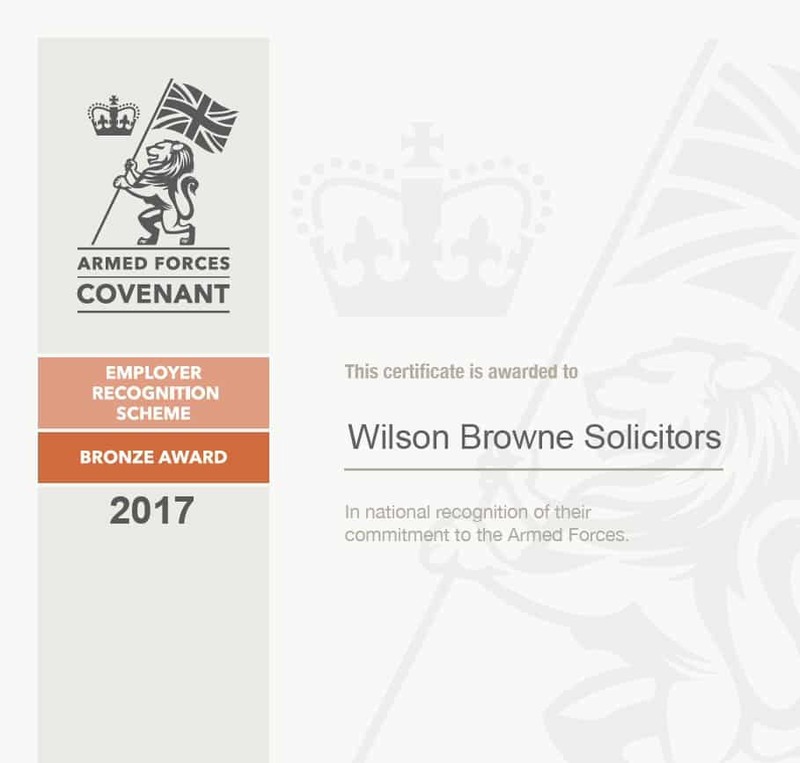 Wilson Browne is a friendly Lexcel Accredited 5 office regional practice with a strong client base, loyal staff members and what we think is the perfect mix of varied, good calibre work and a strong work life balance. The firm is the NLS Large Law firm of the Year 2017-18 (having won previously in 2015), and was Highly Commended at the 2018 Law Society Excellence Awards in two categories. The ideal applicant should have at least 2 years of commercial litigation experience. They will need to be competent at working independently, handling their own caseload from initial instruction through to completion, whether that be at trial or through some form of ADR. This is a role where your voice will be heard, with genuine scope for a challenging but supported career. We offer a competitive remuneration package which, in addition to salary consists of contributory pension scheme, health insurance and free life assurance (after 6 months’ service). We also offer good support and training opportunities along with excellent future prospects for career progression. The Private Client team is seeking an experienced practitioner to assist in developing private client work at our Kettering office. A genuine interest in business development will be a bonus. Large law firm of the year – we won the Northamptonshire Law Society Large Law Firm Of The Year Award in both 2015/16 and 2017/18 and now Law Firm Of The Year 2019. Many of our teams are recognised by the Legal 500, a Who’s Who of the legal profession. We’ll help you shape your future. •Over the past 12 months, the firm has promoted 4 solicitors into Junior Partner positions, 6 Legal Secretaries into Paralegals, 2 Office Assistants into Legal Secretaries and a Legal Cashier into a Senior Accounts Assistant. Option to join a pension scheme where we will match up to 4% contribution. BUPA (certain positions only) with the ability to add spouse and/or dependants. Permanent Health Insurance, also known as Group Income Protection, (certain positions only) which pays a percentage of salary after 6 months sickness absence. Discounted Health Club and Gym Memberships•Competitive holiday entitlement that rises with length of service. Death in Service benefit (after qualifying period) paying 3 x salary. Even if you don’t currently see an opportunity that interests you we’re always delighted to hear from enthusiastic, talented people looking for their next move, whether legal professionals or those looking for non legal opportunities.